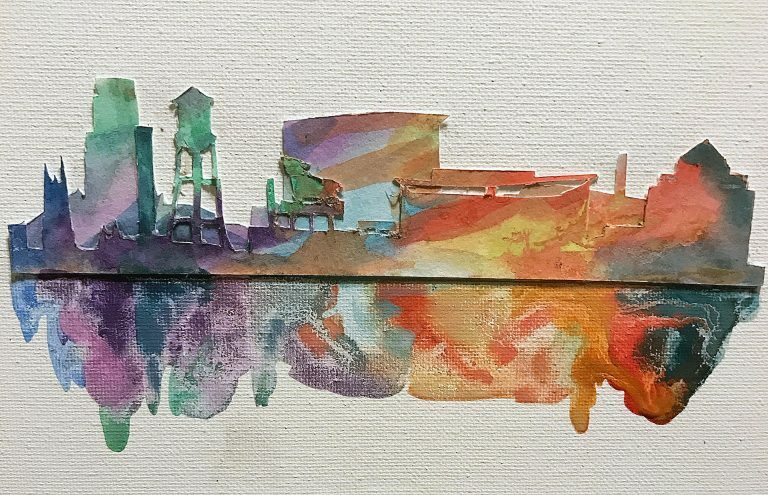 Christopher Lam, engineer and watercolorist, will use his residency at the ruby to engineer a 21st-century form of watercolor expression that is three-dimensional and interactive like a pop-up book. 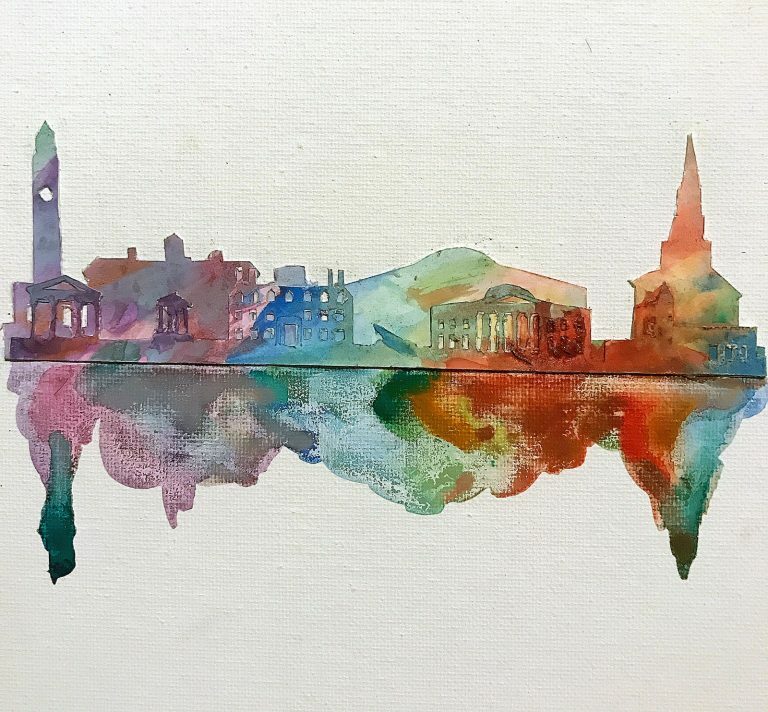 Christopher Lam is a graduate student in Biomedical Engineering and also an avid watercolorist who enjoys painting city skylines and animals. In his current practice, he extends the medium by drawing the outline of his designs with computer aided drafting software. Then he uses a 2-dimensional plot cutter to cut the designs out of watercolor paper and stacks them to give his pieces a 3-dimensional quality, reminiscent of the pop-up books he loved as a kid. 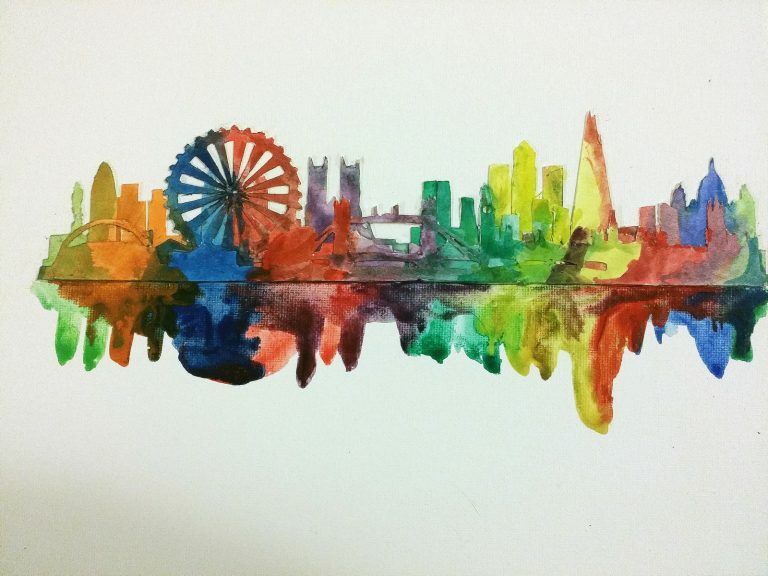 For his residency, Lam will combine techniques and technologies that he have learned over the course of his dissertation research in the Department of Biomedical Engineering with traditional watercolor paintings to make them more dynamic. He’ll be using low cost micro-controllers to interface with a range of simple sensors (e.g., motion, distance, volume) to provide a programmed response to changes in illumination, motion actuators, and sound. He’ll also use Computer Numerical Control machining and 3-d rapid prototyping to make components for his pieces. Finally, he’ll be documenting each step so others can try it for themselves. Christopher Lam graduated from the University of Cincinnati in 2007 with a B.S. in Biomedical Engineering and was awarded the Herman Schneider Medal. His undergraduate and post-baccalaureate research at Cincinnati Children’s Hospital focussed on cardiac pathophysiology and surgery interventions. In the fall of 2010, he began graduate studies in global health at the Duke Global Health Institute, under the guidance of Drs. Svati Shah, Bimal Shah, and Lijing Yan. He spent three months in China as a visiting research fellow at the George Institute for Chronic Disease to investigate factors for non-compliance in anti-hypertensive medication in elderly Tibetan pastoralists. Chris is currently a Duke Global Health Institute Doctoral Scholar working in the laboratory of Dr. Nimmi Ramanujam to complete dissertation research on the design and implementation of a point-of-care cervical cancer screening platform accessible to patients in limited-resource settings. When not in the lab, Chris and his dog Sammy can usually be found exploring the outdoors, building custom wooden furniture, painting watercolors, or wrenching on his truck. 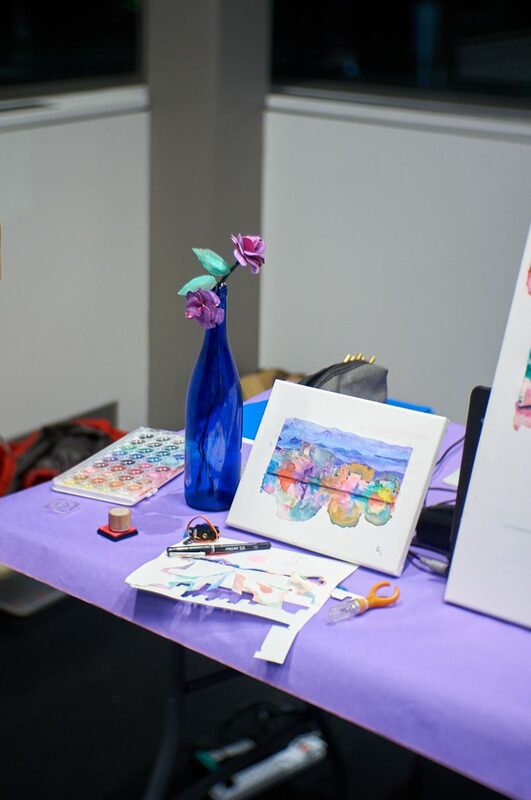 Join Bioengineering grad student Christopher Lam for a lunchtime presentation on the marriage he's engineered between watercolors and technology.